This article was kindly published in the Waterloo Journal Vol.39 No.1 Spring 2017. 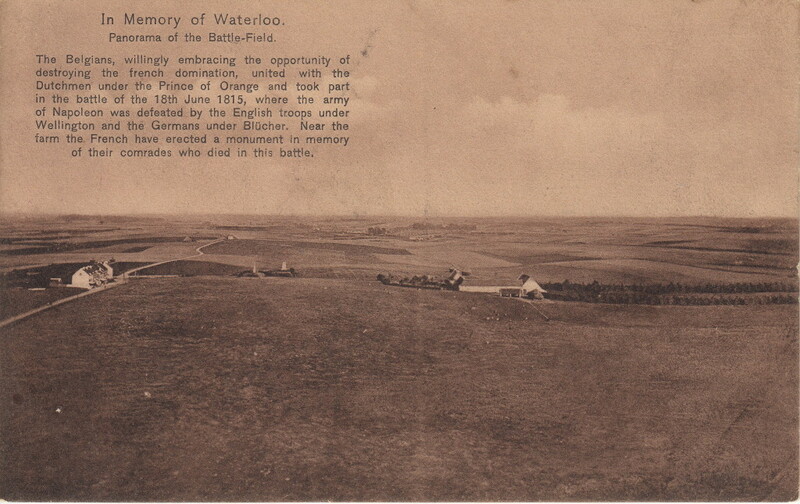 Standing proud, disdainfully facing the French border, overlooking the ‘mournful plain’ described by Victor Hugo, the imposition of Le Monument may well have “ruined” Wellington’s battlefield by removing much of the escarpment. Yet this mighty mound, and the community of properties that grew up around it on the allied ridge has been at the forefront of visitor attraction, doing much to sustain the interest of the masses to this most important of battlefields over so many years. In the immediate aftermath of Waterloo, the opportunity to cement the identity of William I’s Kingdom of the Netherlands was too good to miss; memorialising a monumental battle on the soil of such a young Kingdom, on the spot where its eldest prince had played his gallant part, shedding blood whilst leading the united Dutch and Belgian troops who played such a conspicuous role in the defeat of Napoleon. In the aftermath of battle competitions of painting, poetry, and architecture were established. 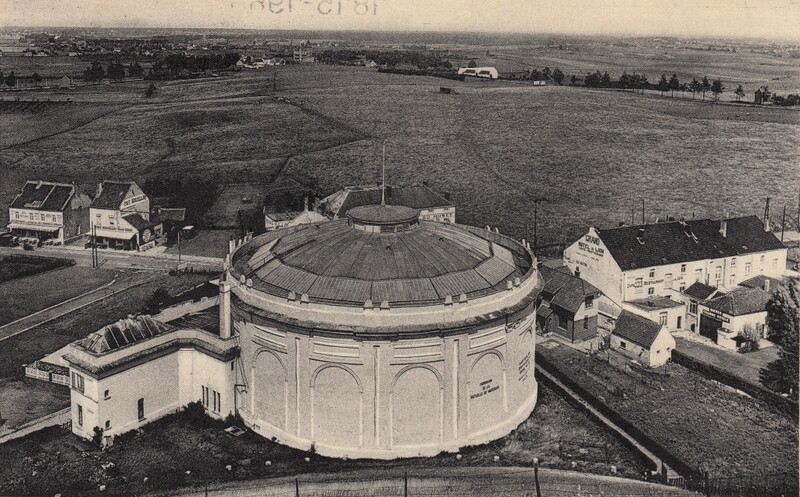 Queen Wilhelmina, formerly a Prussian princess, took a keen interest in selecting the architectural winner, sorting the plans from sarcophagus, ossuary, stone and brick monuments, arch and fountain to the winning mound design. The mound and lion was described by their architect Van der Straeten, the lion symbolising victory, the paw rested on the globe signifying the repose of Europe. Construction commenced in 1824 and was completed in October 1826, the mound over 40 metres high surrounded by 140 blue stones. The 28 ton cast iron lion, sculpted by J-L Van Geel from Malines, forged in Liège, is formed of nine pieces, each pulled by 20 horses in the final part of their journey to the mound. The pedestal and plinth pushes the monument over 50 metres tall. There was no formal unveiling ceremony. 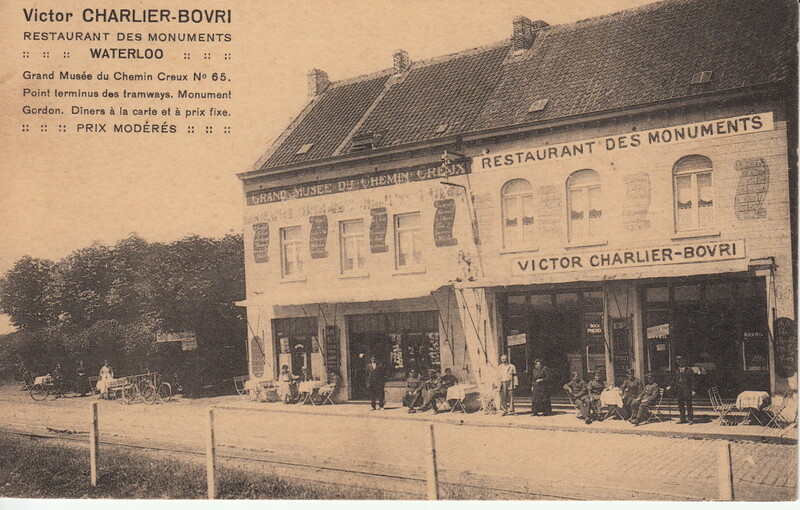 The only house to be built before the mound, in 1823, became a cabaret (inn), evolving into the Hotel des Touristes. This hotel shared the same fate as Hotel de la Paix, demolished in 2013/4 to make way for the underground Memorial museum. Next, in 1828, a Waterloo veteran was given the job of guardian of the mound, for whom a small house was built, then rebuilt in 1929, before finally being demolished to make way for the Visitor’s Centre. The post of guardian continued through to 1989. 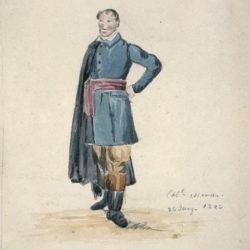 Much of the British appreciation of the hamlet revolves around Edward Cotton, a Waterloo veteran in the 7th Hussars and author of “A Voice from Waterloo”. 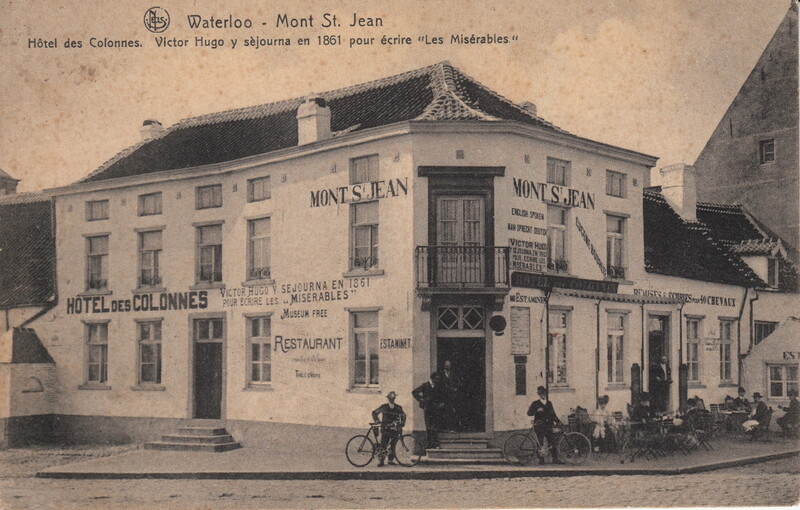 Mr & Mrs Cotton moved to Mont St Jean in 1828, and subsequently to a house adjacent to the guardian. Cotton became the doyen of battlefield guides, until his death in 1849 when his body was interred beside Guards officer Blackman in the gardens of Hougoumont. His collection of battlefield memorabilia was subsequently displayed by his niece in the Hôtel du Musée in the lion hamlet, often referred to as the ‘Cotton Museum’ although the building wasn’t constructed until after his death. Over the years the lion mound has survived many threats to its existence. In 1831 French troops passed this way in support of the Belgian Revolution, damaging the Prussian Monument in Plancenoit and threatening the lion, behaviour that was promptly corrected by their Marshal Gerard who in 1815 had fought at both Ligny and Wavre. In 1832 the independent Belgian parliament saw the lion mound as a sign of Dutch oppression and odious to their friends the French, but all was protected by locals keen to preserve their roaring tourist trade. 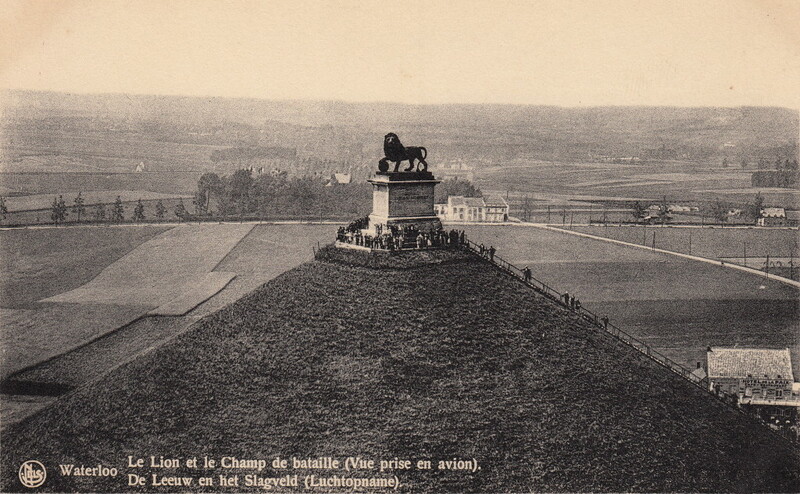 In 1918 proposals to blow up the lion as a means of celebrating French-Walloon solidarity, or less severely turn its face to the North, were by 1925 amended to plans for the demolition of the entire monument! 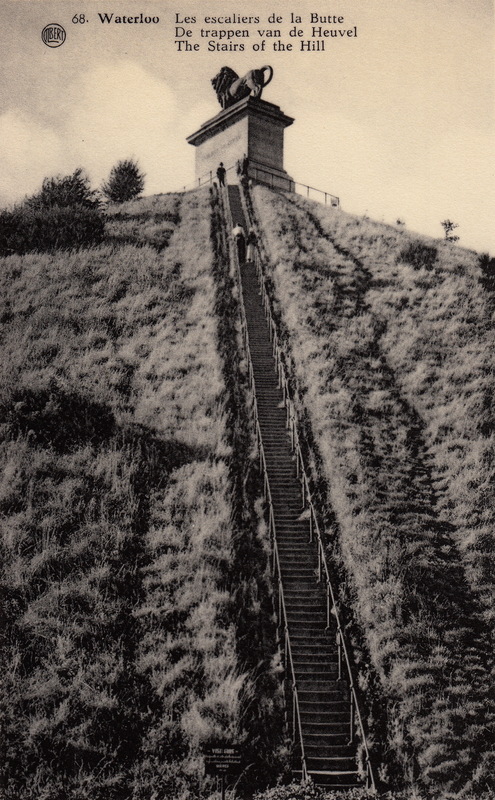 In WW2 the mound featured anti-aircraft defences. Thankfully it survives. 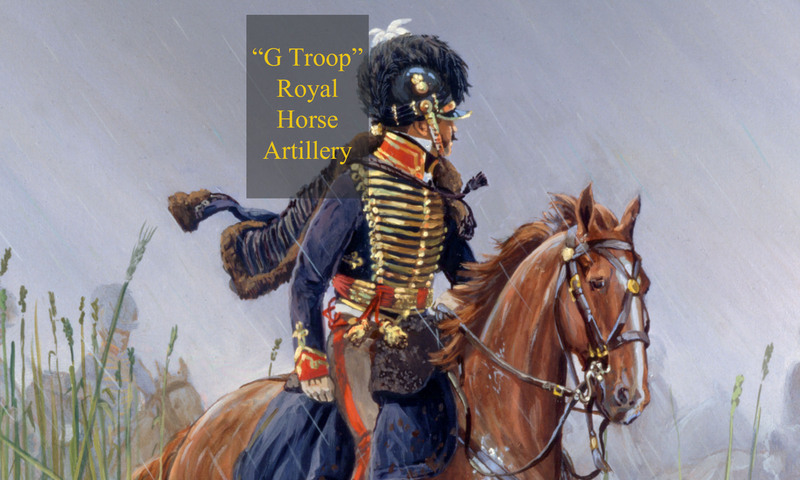 The prime location of the mound, at the centre of Wellington’s ridge, so hotly and valiantly contested on the day of battle, has witnessed much change over its 190 year life. The huge investment for the 2015 bicentenary has dramatically improved the visitor experience, but at the same time we have lost some history. These old images help us understand the experiences of those early battlefield tourist pioneers and provide a vital early connection to the landscape as it once was. If you can help to date the cards, or if you have a different opinion, or additional information to offer, please do get in touch. This is the third in a series of articles by the author covering the evolution of different buildings on the battlefield, and your contributions and suggestions will be most welcome. 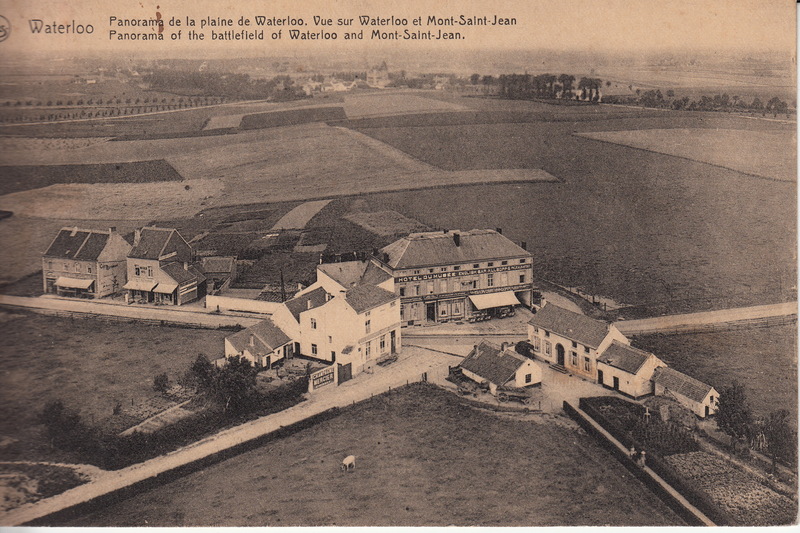 Next up is the Mont St Jean-Le Caillou road including the Wellington Museum, Mont St Jean, La Haye Sainte and the old tramway.